It's the late fall of 1850, and love is starting to blossom in the nearly lawless town of Dodge City! 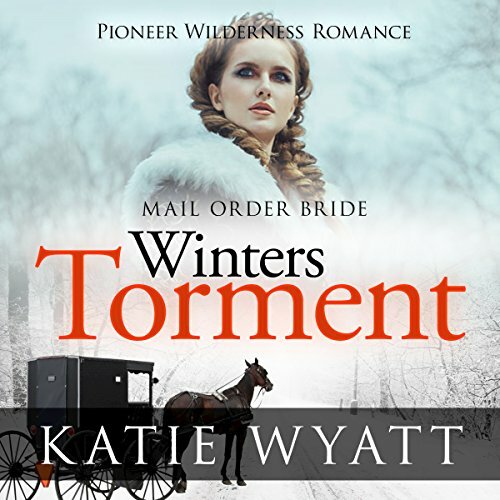 This much-loved historical, inspirational Western romance series, based in the mid-18th century of the old West, is about empowered women who turn around their hopeless circumstances, with strong faith, and discover authentic men and true love. Meet Winter: she has been scandalized and put to shame in her beloved town of Bangor Maine. Unable to go to her local church and support herself after the incident, she takes the only option she has to seek marriage far away from all of this pain and suffering. "You want me to sleep in the barn?" Henry asked, his expression wary. "On our wedding night?" Winter nodded. "Or the tack shed," she replied. "Whichever you believe would be most comfortable." Come on down to Dodge City where the bars outnumber the other businesses, and where you can hang out with the local folks like the massive blacksmith Henry Olson, mustache deputy Bat Masterson, and of course the lovely petite five-foot and emotionally scarred Winter Lindstrom.